While sugarplums are dancing through little ones’ dreams and quiet streets are aglow with twinkling lights, crazed moms are waking up at 5 am to hit the big sale or bolting out of bed at midnight because the Elf on Shelf is still in the same position as last night (unacceptable!). 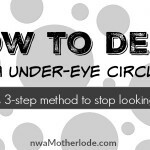 It’s one thing to be exhausted (totally worth it for those precious moments) and another to look exhausted, so we need to take care of those under eye circles. Still puffy? Put something cold on your eyes: a spoon, bag of frozen peas, anything moldable works. Also, hemorrhoid cream does work but be super careful not to get it in your eyes. This is one of those things you can learn from someone else’s mistake. 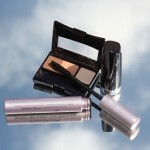 Dark circles are trickier since they are often genetic and become more prominent with age. It is not actually a change in skin pigment that creates the crescent shaped shadow, but the thinning of your skin making blood vessels beneath them more visible. 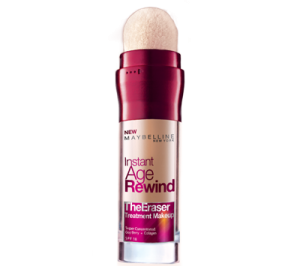 Makeup is very effective in concealing dark circles and you can find products made specifically for under eyes, like Maybelline Instant Age Rewind Eraser for Dark Circles, my personal favorite. According to WebMD, under eye circles can be treated with a series of about 4 intense pulse light (IPL) treatments. At $200 each, this is a pricey option and results are not permanent. Skin lightening creams can also lighten the circles making them easier to cover and an eye cream that contains caffeine will constrict the underlying blood vessels, making them less visible. I try to think of my little signs of wear and tear on my once youthful face as my mommy battle scars. The wrinkle between my eyes is from trying to straighten the star on the tree. Helping Elfie TP the Christmas tree last night caused my dark circles, and the puffiness in my cheek is from little Georgi slamming me in the face with a giant copy of The Night Before Christmas because she wanted me to read her a story. Ah, the memories! Have a question for Andi, beauty blogger and fellow mama? Andi welcomes your questions and feedback to Beauty Buzz. E-mail her at mamas@nwaMotherlode.com. Beauty Buzz: How to apply your makeup so it stays puts on Prom Night! Giveaway: Tickets to the Nutcracker!